6th December 2012. Recent updates to Places, two new articles; Innovative Ideas & Gear for Camping and Great Australian Walks, Woodslane promotion and shop review voucher winners announced, plus all of the latest Shop News and Super Specials. Trip planning is about to get a whole lot easier with the new ExplorOz Places system - this section of the site contains a huge number of points of interest around Australia - over 85 000 at last count! This includes the locations and details for over six thousand campsites and other accomodation (including reviews). So what's changed? In keeping with the navigation found in other areas of the site, you can now access a text search, browse by Place type, and see the most recent updates at a glance. The system's not finished yet, but give it a go and let us know what you think. You'll be surprised at how much information you can find, and don't forget Members can download Places, or add them to "My Plans" for bulk download. Not a Member? To access these and many other exclusive Member Features, join today for only $49.95! New Articles - Just Published! This article will help you make sense of all of the different camping accessories on the market and determine which items you need and which you don't. If also includes some practical tips for all types of travellers, whether you stay in caravan parks or opt for bush camps. A must read before your next trip, you can view the full article here. Bushwalking and camping with a backpack are a satisfying and inexpensive way to experience Australia’s outdoors. This article is a guide to some of Australia's most iconic multi-day walks. Congratulations to greg g2 who has won a Ken Duncan Photography book pack, just for purchasing a title from the Woodslane Travel, Walking or Cycling Guide ranges. Congratulations to November's winner: Rockape. 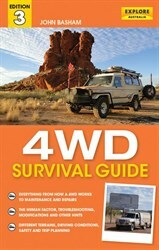 Brand new edition of this best selling guide. Plus look closely at the images in this title, there may be some familiar vehicles featured! 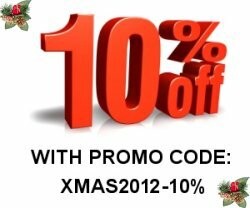 Don't miss out on our 10% off all Books offer. Plus, if you're a member this adds up to 15% off! Code valid until 25/12/12 - view the range here. The perfect stocking filler this Christmas, these popular hats have just arrived back in stock and they're still only $14.95 ($14.20 for members).